Since its start on October 14th, 1997, the Cassini mission has been tasked with providing insights about Saturn and its moons to scientists. Now, twenty years later, the Cassini spacecraft is on the last leg of its mission. In April of 2016, Cassini began what is called “the Grand Finale.” This finale phase of this ambitious mission involves exploring Saturn and its rings. Currently, Cassini is on the fifteenth of its twenty two weekly orbits which go between Saturn and its rings. Thus far, it has made quite a few telling observations. Cassini Project Scientist Linda Spilker from JPL remarks, “The data we are seeing from Cassini’s Grand Finale are every bit as exciting as we hoped.” Many new observations have been made, even in these last few weeks of exploration. Cassini’s magnetometer has collected data on Saturn’s magnetic field, which has determined that the tilt is smaller than 0.06 degrees. This indicates that the magnetic field is well aligned with Saturn’s rotation axis. Because of the small amount of tilt observed, scientists’ original theoretical understandings of the generation of magnetic fields needs to be revisited. In looking at Earth and the molten metal flowing underneath its crust, scientists have theorized that magnetic fields of planetary bodies are generated by electrical currents caused by the motion of metal currents from underneath their surfaces. However, theories also say that some tilt is necessary in order to maintain the liquid metal currents, and therefore, the magnetic field. Saturn’s lack of tilt would seem to indicate that the liquid metallic hydrogen hypothesized to be flowing below its surface had dried up. This observation means that scientists’ observations and studies of Saturn will give further insight into understanding how magnetic fields are generated in planets, as well as impact further studies of other planets in our Solar System. Saturn’s seeming lack of tilt also currently keeps the true length of Saturn’s day a mystery to scientists. The team leading the magnetometer investigation is hoping that the analysis of Saturn’s gravity field will help in fully understanding the tilt data. It is also possible that the deep atmosphere of the planet disguises the true extent of the magnetic field, so data will continue to be collected and examined throughout the remainder of the Grand Finale. Cassini is the first mission to obtain samples of Saturn’s atmosphere and main rings by using the spacecraft’s cosmic dust analyzer (CDA) and ion and neutral mass spectrometer (INMS). Although initially thought to cause damage, the ring particles were deemed to be benign and the smallest particles were able to be picked up by the CDA. The final five orbits of the Grand Finale will garner samples from deeper within Saturn’s atmosphere and provide even further insight into the planet’s composition. The images captured by Cassini have returned some of the highest resolution views to date of some of the most elusive areas of Saturn. 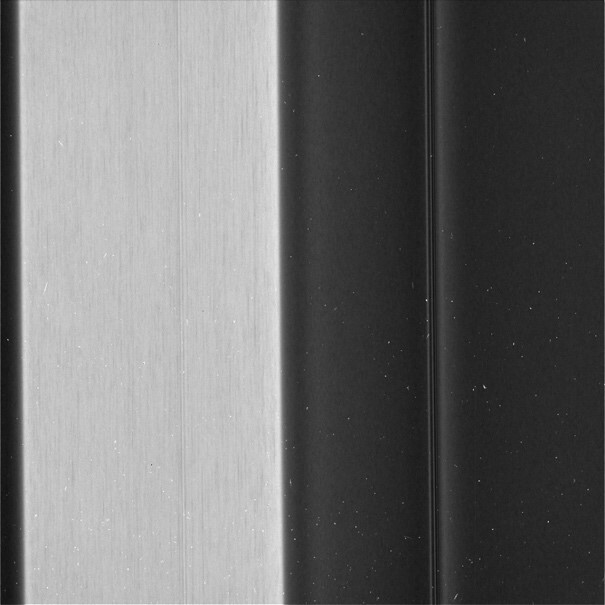 Saturn’s C ring is now seen to have differing textures because of these images. 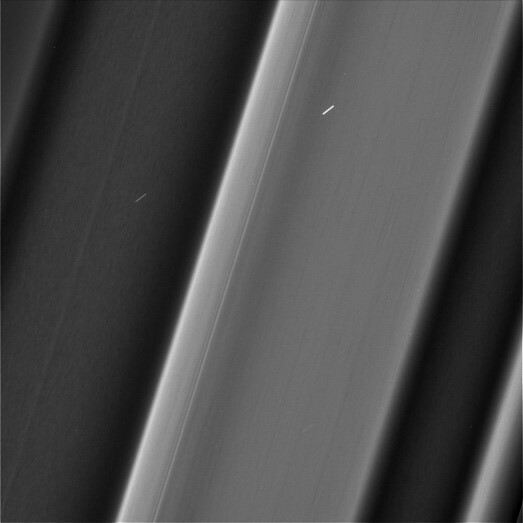 While some regions appear to have no structure to them, the plateaus – the brighter regions of Saturn’s rings – look streaky. Photographs such as these will provide scientists with greater insight into the makeup of the planet and why certain things appear the way they do (ex. why do the plateaus exist and what is so different about their composition?). Alternate view of "plateaus" in Saturn's C ring.